Saint Joseph´s Catholic Hospital´s Maternity Unit is located at the ground floor, and consists on a labour room, delivery rooms and an operating room for cesarean section. The Maternity Ward has 10 beds and one private room, and a Nursery with incubators. 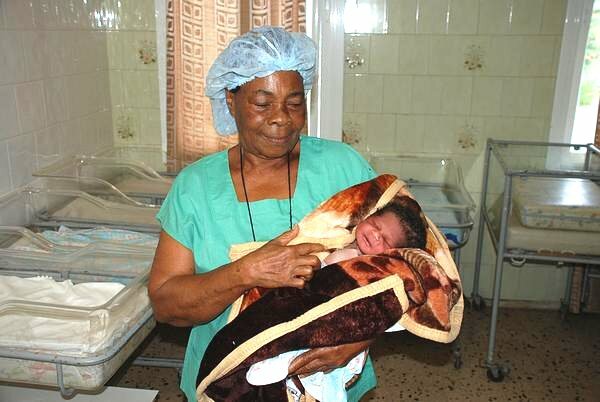 We attend about 1,000 deliveries every year, from which 180 need cesarean section. There is a 24 hour Emergency. Our Maternity team is formed by gynecologists / obstetricians Dr. Bowman, Dr. Matar and Dr. Tadros with the assistance of 9 midwifes. Since 2013, “Stop Fistula” Program, developed with the support of Spanish NGO “Mujeres por África” (“Women for Africa”), will offer free deliveries for first-time mothers under 18.